As brands across the globe, Fortune 500 and start-ups alike, have slowly shifted from vanity metrics towards ROI focused goals in Digital marketing, the importance of social media analytics and empowering brand’s digital efforts using pay per click campaigns have been increasingly steadily. It’s no longer about views, hits, likes and follows. Brands today, with responsible digital marketers are discussing the aspects of clear and specific goals, focused strategies with a sincere idea to deliver value to end users, have meaningful brand connect, conversations and at the same time ensure business and revenue growth. Understanding customer behavior patterns: A detailed study of a website or an organization’s blog statistics reveals how consumers or prospects are browsing and or searching for information online and trying to engage with your brand. 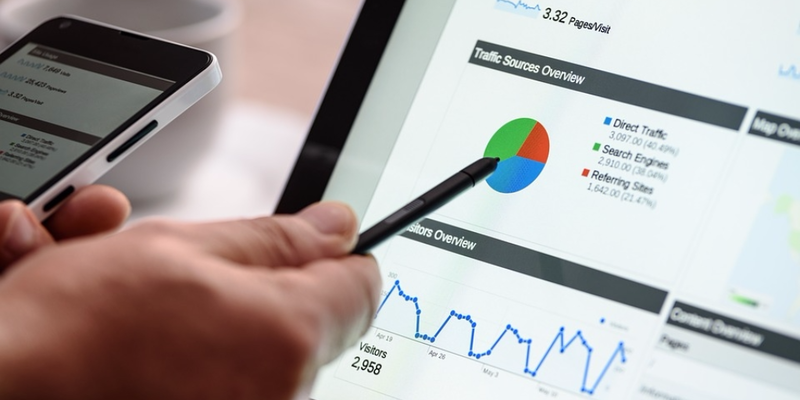 Let’s say for eg your website’s google analytics statistics reveals that there are lots of users on your site searching for “XYZ” information. Then your job as a professional digital marketer would include revamping the site’s content architecture to ensure prospects have access to that information easily. Similarly, by closely observing how they engage, view pages per session, time spent on the site, their exit from your website etc reveals what pages to focus more on and or which aspects to consider and or re-consider on the site. For eg. if you find too many users visiting your pricing page and exiting without making a purchase, you should seriously start running a thorough scan of your competitors pricing strategies. Paid Vs Organic search: There is no doubt that organic search empowers brands ROI in the long run and that too at a minuscule of a cost in comparison to the value it delivers across SEO, Branding etc., but in today’s competitive world, ignoring pay per click campaigns (paid ads) is definitely not a wise decision. For eg. if you as a brand cater to consumers offering services that are urgent in nature, eg. you are a restaurant which offers home delivered food during two to three hours during lunch time, or let’s say you are a GP (General Practitioner) located at one specific address, you as a business offer handy and quick household services like plumbing, carpentry services which are urgent in nature; running a pay per click campaign eg. using google adwords with campaign features of extensions like “Call” and or “Callouts” etc can work wonders for your brand. That too, with the advanced location based target marketing campaigns, your ads can be delivered to interested users across specific locations during specific time schedule too. Target based: A detailed analytics reports using Google analytics, facebook insights, twitter insights etc reveals a lot of valuable information about your online users preferences and interests. For eg. affinity categories, their topics of discussions online, etc tells you what is “relevant content” for your end users. Using these data and analytics, as a brand and a professional digital marketer you can custom design pay per click campaigns let’s say using facebook ads to reach users who express interest in a similar set of brand pages and conversations online. Such target based ads which works wonderfully across end users interests, demographics (age group, gender), location, search patterns online etc is a great way to design ROI focused successful digital marketing campaigns. Analytics and Pay Per Click campaigns today have grown leaps and bounds. When the right set of metrics and analytics are used in creating a custom designed pay per click (paid ads) campaign, brands can not only expect positive results, but focus towards achieving high ROI across specific goals during a defined timeline too. There is truly so much more one can do as a professional digital marketer today using the right blend of analytics and pay per click campaigns. What is your favorite social media digital marketing campaign that has made exceptional use of these aspects? Do share, would love to hear from you. In case of queries, feel free to share your comments and views below.